We want you to start the year off right by getting to know the best financial products available on the market today. Use them to achieve all your financial goals in 2019. There are so many products out there that aim to help you organize and bolster your financial life – but which ones are best? I scoured through the market and picked out the best financial products available today. As founder of Money Under 30, I chose the winners of Money Under 30’s Financial Awards based upon my extensive experience covering personal finance over the last 13 years. I specifically chose companies and products that fit the unique needs of adults between 20 and 40 who are establishing their financial lives. For example, when choosing between two products with similar offerings, I opted for the product with fewer fees and/or balance requirements that might be prohibitive for someone on a budget or with limited assets. Some categories are more competitive than others, with several strong options for consumers. In these cases, I selected the products with which I am most familiar and could confidently recommend. Here are my thoughts on the best financial products on the market today – the winners of Money Under 30’s financial product awards. The Discover it® Cash Back has been a Money Under 30 recommended card for many years. Award-winning customer service and a user-friendly app and website make Discover, in my opinion, one of the friendliest credit card banks to do business with. And then there’s the cash back: 5% cash back at different places each quarter like gas stations, grocery stores, restaurants, Amazon.com and more up to the quarterly maximum, each time you activate, plus 1% cash back on all other purchases, automatically. With the cashback match feature, new cardmembers will have all of the cash back they earned matched by Discover at the end of their first cardmember year, with no maximum. The BankAmericard® credit card wins the MU30 nod for best balance transfer credit card for young adults. The BankAmericard® credit card is a straightforward product with no rewards feature, but offers a 0% introductory APR for 18 billing cycles for any balance transfer made within the first 60 days. There is also a 3% balance transfer fee ($10 minimum). After the intro rate expires, the ongoing rate is a 15.24% – 25.24% Variable APR on purchases and balance transfers. I urge readers to mostly ignore rewards on cards you will use primarily for balance transfers, as it’s silly to chase credit cards rewards while you’re still paying down an existing balance. Pay off existing debt first, and only worry about rewards when you’re in the habit of paying your balance in full at the end of each month. The Capital One® Venture® Rewards Credit Card is our most recommended travel card for young adults. For a reasonable $95 annual fee, you’ll earn 2x miles on every purchase plus 10x miles on thousands of select hotels. Miles can be redeemed for travel on any airline with no blackout dates. And, with no foreign transaction fee, the Capital One® Venture® Rewards Credit Card is an ideal international travel companion. The Chase Sapphire Preferred® Card rewards savvy travel-hackers who know how to redeem their Chase Ultimate Rewards points at various airline and hotel brands for maximum value. But anyone will appreciate the generous sign-up bonus for new cardmembers: 50,000 bonus points after you spend $4,000 on purchases in the first 3 months from account opening. That’s $625 toward travel when you redeem through Chase Ultimate Rewards. Discover gets another win in the secured card category with the Discover it® Secured. I think secured cards are the best way to build credit the first time or after credit problems. Trouble is, many secured card products feature high fees, no rewards, and dubious customer service. The Discover it® Secured, on the other hand, has no fee and features the same rewards and customer service as other Discover products. I’m not usually a fan of prepaid cards: They are high on fees and low on benefits. Still, prepaid cards can be useful for managing spending money if you can’t use or don’t need a checking account. 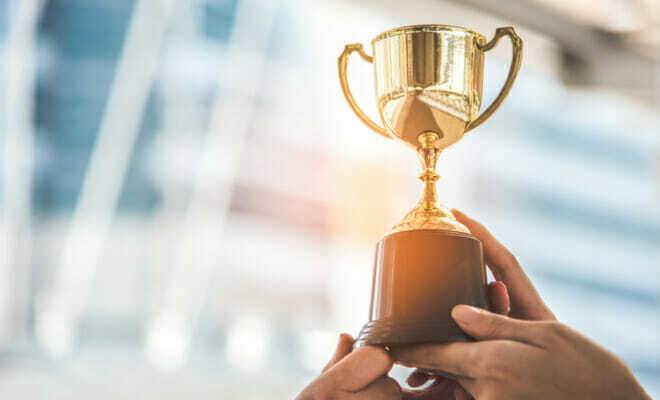 Movo is our award winner because, unlike competitors, there are no monthly or activation fees, and there are no fees to make purchases or withdraw cash at in-network ATMs. There is a 0.75 fee per bill payment and fees do apply for certain in-person reload methods, but are all reasonable compared to the competition. The Capital One® Spark Cash® for Business is a seriously good credit card if you’re self-employed or own a small business. The rewards are straightforward and generous: unlimited 2% back on every purchase. What makes this card especially attractive however, are the sign-up bonuses worth up to $2,000. You can earn $500 after spending $5,000 in the first 3 months and another $1,500 if you spend $50,000 on the card in the first 6 months. The Capital One® Spark Cash® for Business features a $0 intro annual fee the first year, after which it’s $95.